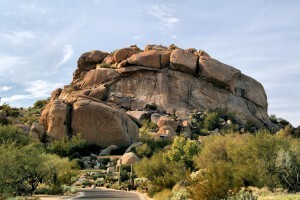 Where you decide to call home in Arizona can be based on many factors. Perhaps you’ve landed a new job in the heart of Phoenix or you want to live in Tempe so you can be closer to your child attending ASU? Or maybe retirement is in your future and you’re just looking for some place to mix and mingle with like-minded people. Whatever your reason for moving to Arizona, you’ll find a wide variety of communities to choose from, ranging from exclusive country club living to the more rural (yet still exceptional ) lifestyle. On the right you’ll find a list of our favorite communities within Arizona. Besides a little background and history on the community, you’ll find a direct link to current homes available there as well. You can refine the results to your liking by editing the search criteria (square footage, price, etc.). Better yet, sign up for a Home Finder account so you can create custom searches that will be saved as well as receive notices when new homes come on the market in the community of interest. Or, if you want to start from scratch, just visit our Search MLS page.